Piano Lessons in Derby- Quality, Trusted Tutors. Flexible Solutions for Piano Lessons in Derby at MusicTutors.co.uk! In modern piano stores, the instruments are seldom more than 10 years old – and therefore in good shape. How much a piano wears over times varies greatly. There are some makers who are known for their quality e.g. Steinway, Bösendorfer and Fazioli. These are worth considering. If you are buying a second-hand piano it is more likely to be an older instrument and you should be aware that the price is likely to match the condition of the piano. It is still possible, if looked after, to learn to play the piano on an instrument 50 or even 100 years old. The key thing is understanding the maintenance and tuning history of the piano as best as you can. Your piano tutor will be able to advise on the tone and general condition of the piano you're looking at in your piano lessons and many of our piano tutors will be happy to spend some time assessing the quality of the instrument you have chosen to learn to play the piano on. Ask your piano teacher for specific advice when you need it. For many, the piano is the gateway into a lifelong musical journey. It is recommended that all musicians learn at least a bit of piano and therefore take some piano lessons, or perhaps have piano as a second instrument. It can be really helpful as a tool for instrumentalists to get a better grasp on music theory as all the notes are laid out in front of you - you can easily see how triads, scales and different inversions are made up. Piano teachers are able to express these theoretical patterns simply and clearly in piano lessons thanks to the clear visual layout of the piano. In addition, the piano gives you endless musical possibilities as you can play chords and melodies at the same time. This means the piano sounds fantastic on its own, as well as accompanying others. Also, the piano is used widely in a huge array of genres. It's truly a universal instrument. What we highly recommend, however, is you find the right piano tutor to take piano lessons with. We think we have assembled the best team of piano teachers in the country. Book today for 50% off your first piano lesson. If we start on the first chord - C. Take C as number 1, then try placing 3 and 5. If we count from C - C 1, D 2, E 3, F 4, G 5. So E is our third, and G is our fifth. Play 1 + 3 + 5 to hear the C major chord. Now if you change the third so it's E flat (Eb), we hear C minor. You can practise this for the other chords too - start by playing the tonic and the fifth and then try the minor and major thirds. See if you can hear the difference! Learning to play the piano means that over time you will build up a good knowledge of theory and harmony. Having a great piano teacher for your piano lessons makes this part of learning to play the piano joy and not a nightmare as some people going it alone can find it! Many of our piano teachers also offer to stand alone theory classes to help musicians of any instrument and level learn more about the building blocks of music. Once in awhile, consider taking a theory lesson with your piano teacher instead of or as well as regular piano lessons to make sure you develop all aspects of musicianship. So 4 + 3 = major. If you want to find the minor third, just count three semi notes from the tonic, then count four semi notes from the minor third and you have your fifth. So 3 + 4 = minor! Learning to play the piano is as much about the ears as it is the hands. 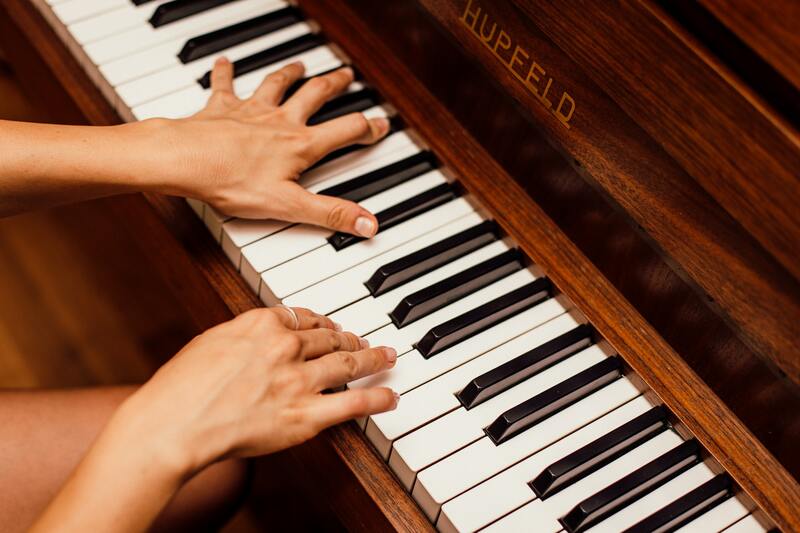 Your piano teacher will be able to train your musical ear in your piano lessons to be able to recognize the difference between major and minor chords. It's another great thing about learning to play the piano, suddenly you'll find yourself listening to your favourite pieces of music with a new appreciation for the layers of harmony within them. Get in touch today to find the right piano teacher for you and just start playing! Piano lessons can be tailored to your favourite pieces of music - it makes taking piano lessons a very enjoyable activity! Your piano tutor should do all they can to make your piano lessons based around what and how you want to learn! Want to test or improve your piano skills? MusicTutors has more articles coming soon where you can learn to play pieces from the classical and contemporary piano repertoire. Feel free to take these resources to your piano lessons as well. our piano teacher will welcome your ideas. It's really important to use your hands correctly to get the best possible sound from the piano. The technique is also important for avoiding injuries and strains when playing and practising. It often takes time to adjust and you have to be prepared for this. Using one of our great piano tutors is the best way to ensure the technique is embedded from day one! The right piano teacher will be able to make this process fun and enjoyable - just like learning to play the piano should be! Your piano lessons should be something you really look forward to in the week. 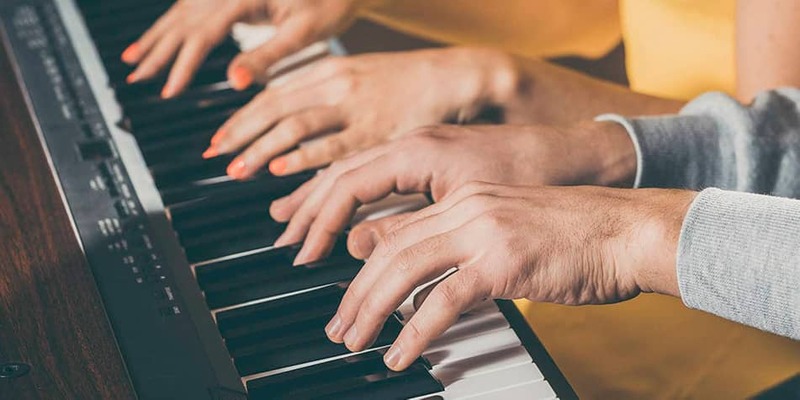 Practice is the same, piano lessons with a professional piano teacher should ensure that there is a strong connection between the work you do at home and the piano lessons themselves. Begin by practising the piano for short periods of time each day, instead of practising for hours one day and then not practising for the rest of the week. Establish a good routine for piano practice and make sure your time on the piano is seen as an oasis of enjoyment in the midst of a busy day. Your piano tutor will be able to help you devise a schedule where, piece by piece, little by little, you gradually build up your skills on the piano inside and outside of your piano lessons. Learning to play the piano is as much about consistent hard, focused work as it is about musical flair or talent. The right piano teacher will be able to help you put in milestones, celebrating your achievements in your piano lessons and making all that hard work when you learn to play the piano feel worthwhile. It can be a good idea to schedule your piano practice. Here it is very important to make a realistic plan in line with how much time you have each day to practice. A busy day with children, school and the like might mean that an hour of practice would be too much! Talk to your piano tutor in your piano lessons and together devise a plan that is specific, targeted and achievable. 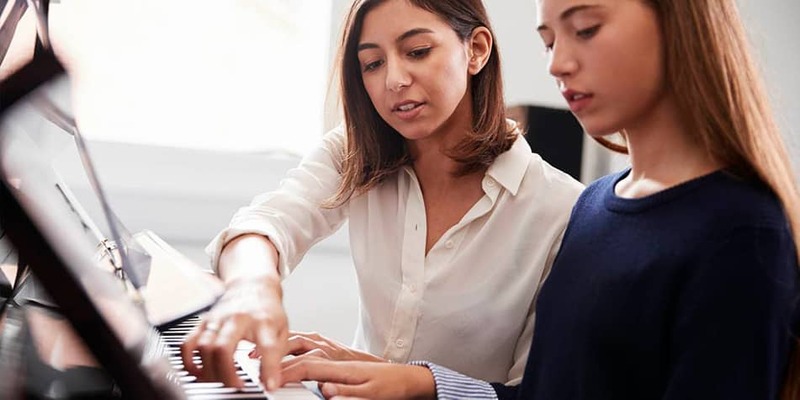 It is a big part of the role of being a piano teacher to make sure that you understanding clearly what you've been asked to work on before your next piano lesson. In most cases, 20 minutes of piano practice every day would be ideal. It can be advantageous to set a timer for 20 minutes to make sure you are able to focus on practising, and not ongoing over time or practising the piano too little. Some piano teachers will not like the idea of a timer but certainly, for children learning to play the piano it can be a big help. Piano lessons are much more enjoyable if there is a sense of momentum that builds through successful piano practice. This is true both for you and for your piano tutor. It takes time getting your fingers used to piano playing, so take the time you need. At some point, you will crack the code and suddenly you will be able to play the piano directly from the score – this is called prima vista or sight reading. Never give up! To begin with, pick a piece on the piano, together with your piano tutor that might be a little easier to learn! Play what you know! This way, you can hear when your playing is not quite right! Talk to your piano teacher in your piano lessons about the kind of repertoire that will be right for you. A good piano tutor understands that learning to play the piano is an adventure that will look and sound different for every person. Make sure you have a piano teacher who can help you make the most out of your piano lessons. Take a leap into something difficult – and divide it into smaller pieces. Start by playing just the right-hand part. Then try just the left hand. Finally, put both parts together in your piano lesson! Ask your piano tutor for help in breaking down your favourite piece in this way.